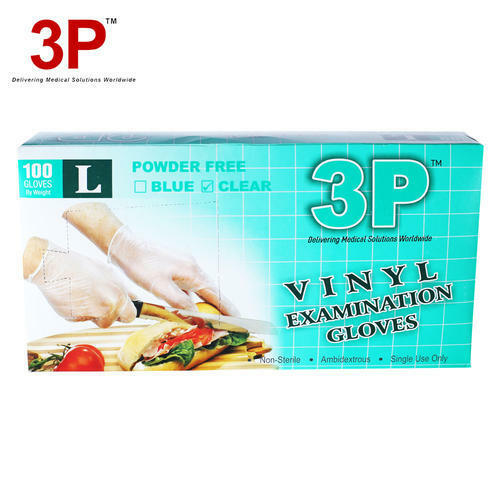 Pioneers in the industry, we offer vinyl powder free gloves, blue vinyl gloves, transparent vinly gloves, vinyl examination gloves, vinyl gloves and clear vinyl gloves from India. With a precise understanding of the relevant industry, we introduce ourselves as the leading manufacturer, wholesaler, trader, importer and supplier of Vinyl Powder Free Gloves that protection against unwanted and toxic materials, these gloves are provided in numerous specifications as per the requirements. In addition to this, our offered gloves are designed with perfection specially to perform well in their surgical. 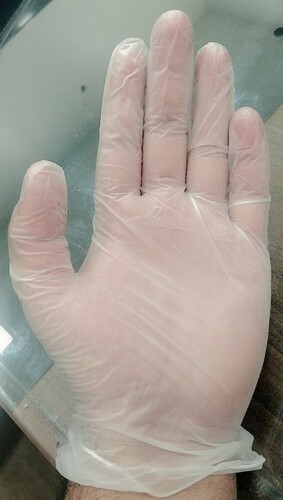 ith a precise understanding of the relevant industry, we introduce ourselves as the leading manufacturer, wholesaler, trader, importer and supplier of Vinyl Powder Free Gloves that protection against unwanted and toxic materials, these gloves are provided in numerous specifications as per the requirements. In addition to this, our offered gloves are designed with perfection specially to perform well in their surgical. 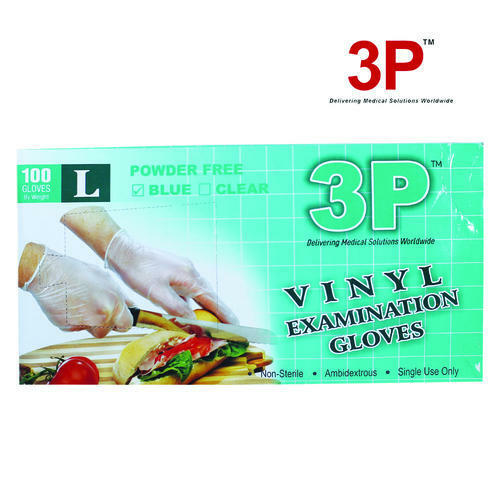 We are instrumental in offering an assortment of powder free and powdered Poly Vinyl Gloves. 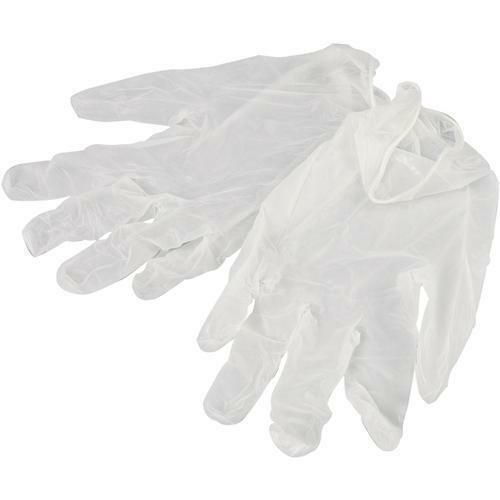 Our offered vinyl and disposable vinyl gloves are manufactured using poly vinyl chloride (PVC). Poly vinyl chloride, which is commonly known as PVC is reckoned as a key ingredient for making disposable gloves . With a precise understanding of the relevant industry, we introduce ourselves as the leading manufacturer, wholesaler, trader, importer and supplier of Vinyl Gloves that protection against unwanted and toxic materials, these gloves are provided in numerous specifications as per the requirements. In addition to this, our offered gloves are designed with perfection specially to perform well in their surgical.